At the tail end of 2016 a friend sent through a new track on Desolat produced by a pair of artists. One was Guti, who I had been familiar with for years, but the other was Morgan, an Australian artist whose music I had yet to discover. That track, titled ‘Swing’, is one I still love to play out with its warped vocals and deep bass textures hypnotizing the dancefloor. Then the following year their collaborative ‘This Must Be The Future’ EP released on The Martinez Brothers’ imprint Cuttin’ Headz easily caught my attention once again. The deep, soulful and jacking music is a fine blend of contemporary house with a nod to the old-skool. I quickly went digging for more of Morgan’s work and discovered she possesses everything I’m after in terms of the style of dance music that has strong dancefloor appeal, whether at peak time or at a Sunday morning afterhours. 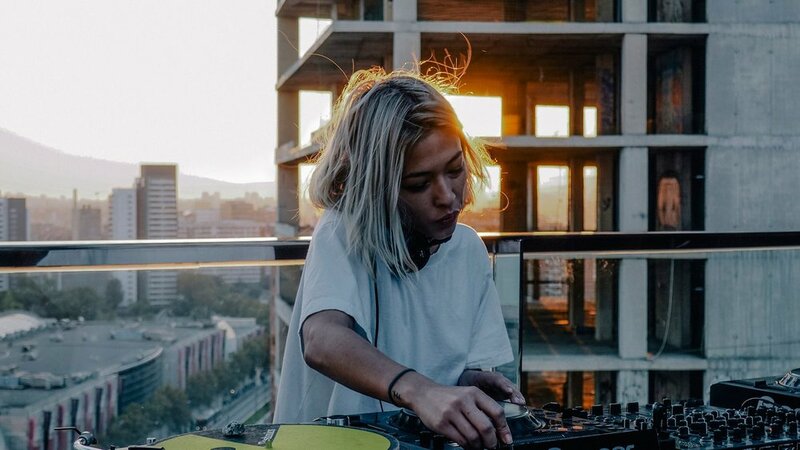 Morgan is the Australia-born, Barcelona-based selector that first came on to DJ Mag’s radar with her ‘The Queens EP’ on Sunday Money Music in April. She’s since seen releases through Desolat, No.19 Music and Budare, whilst also continuing a collaborative partnership with Argentinian producer Guti. The Australian featured on the title track of his ‘Swings EP’ in November, with the fierce piece of four/four-driven tech the best offering from the duo yet. laced with bags of swing. After a summer that’s seen her play shows across Europe, Morgan has returned to Australia for a string of homecoming shows before the end of the year. If she continues to turn out productions on the level she has through 2016 though, a return to the continent’s biggest stages next summer looks guaranteed. Based in Australia, Morgan is a fresh talent who's been popping up on labels like Budare, Sunday Money Music and most recently Loco Dice's Desolat imprint. Her collaborations with Guti are expertly crafted tunes that vary from dancefloor focused tracks to more soulful and downtempo productions. From the material she's supplied thus far, it's clear she has plenty of versatility to share.